The Yamaha TRBX605FM 5-String Bass Guitar has been designed to offer exceptional tone, comfortable playability and flexible sound options. This 5-String option enables even greater lows than the 4-string counterpart. The Yamaha TRBX605FM Bass Guitar incorporates a solid alder body into its design, for the woods tonal qualities. This has been sculpted to provide perfect weight distribution and playing comfort, along with good looks. this is then complimented with a flame maple top that not only adds to the timbre but also brings additional beauty. Bolted to the body of the Yamaha TRBX605FM Bass Guitar, via a precision bolt-on joint, is a five-piece maple/mahogany laminated neck, offering stability and exceptional tone. This is carved for comfort and to accommodate fast players. The bolt-on neck joint has been designed to enhance the bass’ tone and make any adjustments easy, along with adding strength, balanced vibration transfer and upper-fret access. A rosewood fingerboard tops the neck and lies between a 38mm-wide nut and a high-mass die-cast bridge. Along with its efficiency at transferring string vibrations, the bridge also provides easy adjustability and is highly durable. With 18mm string spacing on the Yamaha TRBX605FM, this bass is perfect for technical slap or finger styles. The headstock contributes a straight nut to machine head string design; removing lateral tension, providing exceptionally stable tuning and a reduction in overtones. The H4 pickups loaded into the Yamaha TRBX605FM Bass Guitar have been designed to excel in both active and passive modes with their make up of quad-pole pieces and alnico magnets giving them both power and subtlety with a clean, open tone. 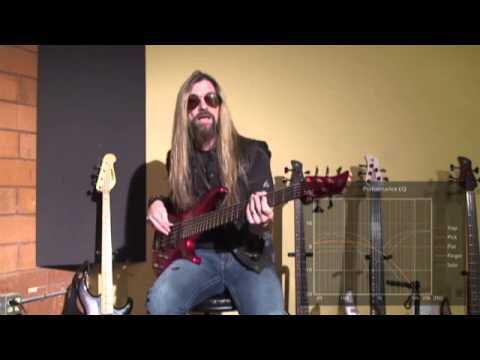 Where the Yamaha TRBX605FM Bass Guitar gets really interesting is with its circuitry, which is switchable between active and passive for absolute control over your tone. This is in addition to a 3-band EQ (bass, middle, treble), master volume and pickup balancer controls. If you need a solid "all-rounder" 5-String bass that can be used for any playing style out there, the Yamaha TRBX605FM Bass Guitar is definitely right for you.